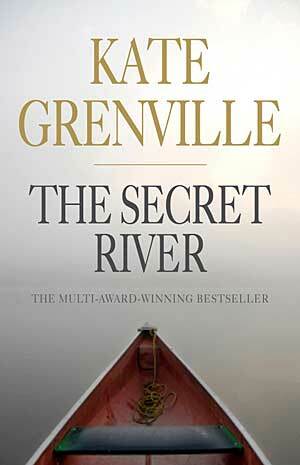 I’ve come late to Kate Grenville’s acclaimed 2006 novel, The Secret River, but just ahead of the renewed attention which will accompany the screening of ABC’s two-part mini-series adaptation next year. Of course, the irony is that even though his children’s children became good at forgetting, we who are several more generations down the line are finally remembering the price, the secret history of our colonisation, our acts of dispossessing and murder. The Secret River is a very intentional act of remembering, or imagining where there are gaps in memory. It made me see colonisation in a newly vivid light, no longer in abstractions or statistics. It is a worthy, important novel for that reason, but perhaps it’s also part of what prevents it from being a masterpiece, it being too consciously a moral novel, constrained by what it is trying to say. The early section in London had me feeling the desired sympathy for the terrible of the working class in that time; but later a nagging question as to whether it was as unrelentingly impossible for most people as that – in this case, there are a Dickensian number of tragedies which befall them. A compelling aspect of the novel is the way the Thornhills, having been oppressed, seize the opportunity to become oppressors, lording it over convict labourers and, ultimately, being willing to kill Aborigines. There are patches of startling, beautiful prose, and yet only patches; from (my hazy, nine-year old) memory her earlier novel Idea of Perfection, was more consistently beautifully written. The showdown between Sal’s desire to return to London and Thornhill’s desire to stay is built up expertly, yet its resolution is unconvincing. She just drops it, in the end, after hearing the Aborigines “won’t be a problem” any longer – yet the presence of Aborigines wasn’t the driving force.